Last year, ONS figures reported the number of burglary offences hit over 420,000, which is a major concern for businesses, facilities managers and homeowners alike. That’s almost 50 burglaries every hour! Having an efficient alarm system that’s reliable is essential to protect against break-ins. Today, complete alarm system kits are not only affordable but also suitable for any building, no matter the size or location. There are several different types of alarms and security systems available so it’s important to understand exactly what to look for in a security system. The purpose of a security deterrent is to make it as difficult as possible for burglars to break into a building, whether that’s a home or commercial property. Insurance companies also maintain this point of view. In the case of damage, they particularly look at whether the intruders were almost “invited in” and assess claims on that basis. So, every building should at the very least, have fittings to prevent criminals gaining easy access into the premises. These simple measures include securing all access points with reinforced panels, locks and a safety catch. Even if your building is adequately protected from a fittings point of view, you should also want to think about installing an alarm system. Depending on your needs, the range of alarm systems and accessories is quite large. It ranges from simple solutions such as alarmed doorstops and glass breakage detectors (known as stand-alone solutions), to wider solutions aimed at securing larger buildings such as commercial properties and factories. Your choice will depend on your individual security requirements and conditions around your building. Alarm sensors: These are devices that register if something unusual happens. This includes motion detectors, door and window sensors, video cameras and glass breakage detectors. These are the first line of defence to an intruder entering the property. Alarm control panel: This panel receives notifications from the alarm sensors. The control panel decides what needs to be done but it only does what you have “taught” it to do and in accordance with its features. These features could include sending an alarm SMS to your mobile phone or an alarm call to an emergency call centre. Alarm transmitter: Obviously an alarm system needs to emit a deafening noise to alert everyone in a half-mile radius. A dazzling flashing light outside of the house can also alert extra witnesses at night and stop the intruder going forward with their plan. Good alarm systems also have additional features such as automatic light control that kicks in when you are on holiday. Wireless alarm systems: Wireless contact between the central alarm unit and the other components. Wired alarm systems: With these systems, everything must be wired up. This is particularly useful if an alarm system is planned when a building is in construction phase. Hybrid alarm systems: A combination of cable and wireless. IP alarm systems: These are systems that use the Internet. The alarm panel is usually connected to the broadband router. It can therefore also be controlled easily on the move via the Internet, for example via an app on your smartphone. You can then also receive notifications of an intrusion online. Many manufacturers offer starter packs. In addition to the compulsory alarm control panel, they contain a few alarm sensors (such as motion detectors and window sensors). Before making your decision, check whether the quantity of sensors supplied is sufficient for your needs. Smart models are easy to install and come with a lot of features. They secure entrances such as windows and doors, control cameras and simulate human presence. At the heart of such systems is usually a base station that is connected to the wireless router. The sensors can then be distributed around the whole building and paired with the system. Window sensors: Contact switches mounted on windows trigger an alarm if the window or door is opened. Motion detectors: Infrared sensors register body heat and sound an alarm. The sensors ignore small animals to avoid any false alarms. Surveillance cameras: Almost all alarm systems can be combined with a surveillance camera. If the cameras detect movement, they start recording. Depending on the model, the images are then stored on local data carriers and/or in the cloud. Once in “sharp” mode, if one of the sensors registers something suspicious, an alarm is triggered. Then the user will receive a message on their smartphone within a few seconds, ideally with a photo, so that they can get a direct picture of the situation. This is how your smart alarm system offers real-time intrusion protection. Smoke detectors: Smart smoke detectors are connected to an alarm system, so in the event of a fire they have the advantage of being able to send a notification to a smartphone. It is particularly useful for people with disabilities or the elderly, if service providers, neighbours or relatives can be informed quickly and see to the situation. It’s also possible to control rolling up blinds and switching on lights, to make it easier to exit the building. Smart doorbells: Quick and easy to install, a reliable smart doorbell comes with a motion sensor and camera. This allows you to always know and record who’s at the door. These recordings are delivered live to your smartphone, tablet or computer so you can address the situation in real-time. They also come with an infrared, night-vision function so you can even keep an eye on things at night. Video surveillance is now accessible to everyone. Whether you want to check the home or workplace – more and more individuals are monitoring their properties. The idea behind this: clearly recognisable video surveillance is primarily intended to deter opportunist burglars effectively because they search specifically for poorly-secured buildings, which they can enter as safely and quickly as possible. A surveillance camera, ideally in combination with well-visible signs, indicates an additional obstacle. Smart surveillance cameras offer several advantages and the set-up is no longer just for professional technicians. For most models it is extremely easy and can be done in a few minutes. Add to this the attractive prices as smart home security starts at less than a hundred pounds. Even those who want weather-resistant HD cameras and infrared LEDs for night vision can do so without the need to invest a lot of money. You know the situation; a family member or colleague loses their key and the trouble starts. Within a few hours all locks must be completely replaced, and all persons equipped with new keys. After all, a dishonest finder could use the key to get into the premises. A smart cylinder lock prevents this stress and hassle with easy-to-install systems available. These systems are installed from the inside of the door. Then the smart door lock can be conveniently opened or locked with a registered smartphone. Just as new “keys” can be set up easily in the form of smartphones or transponders, they can be deleted again just as quickly. This generally takes only a few seconds rather than hours via traditional keys. For anyone who likes to be in control, smart locks are an interesting concept. The “master keyholder”, i.e. the person who set up the lock, is completely in control. Only they can grant other people access. In addition, they can usually check when someone had access to the building because such information is precisely recorded to the minute in the app. You can, for example, see when the cleaner entered and left the building after official office hours, to check if there were any issues or there was a safety problem. As a smart security system relies on an efficient WiFi connection, it is of vital importance that this network is kept protected too. It’s concerning that there are still people who use simple passwords like ‘1234’ to gain access to their WiFi. Practices like this can give criminals easy access not only to your WiFi, but also every appliance that is linked to the system including thermostats, alarms and connected computers. With so many efficient and affordable alarm systems available, it is possible to take every precaution to deter burglars. With burglaries reported at almost 50 every hour, we recommend looking into all options and making sure you’re doing everything you can to make your premises as secure as possible. 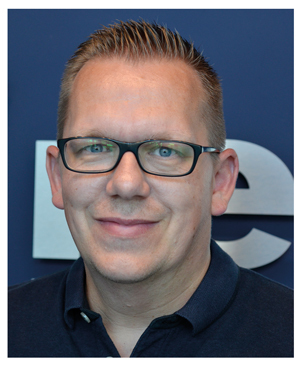 Article written by Thomas Kruse, Smart Home Product Manager, reichelt, (pictured).